Every business needs an accountant, and we all know that. Many small business owners act as the accountant themselves! But that’s mostly because the masses are not quite sure of what an accountant really does. Accountants are great at working with numbers and various types of mathematical sequences. They can work to detail, have the ability to multitask, and pay close attention to every single thing. 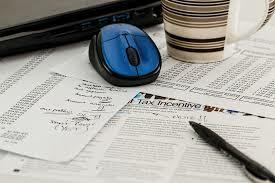 An accountant is one of the most important parts of a huge industry, company, organization and even in small business. The accountant maintains and controls all the records of the payments, cash flow and much more through a company or a business. He or she checks the authenticity of the transactions made and verifies whether the transactions are legal or illegal. An accountant does a lot of work and in order to learn more about accountants, check the below points which we have listed only for you. Whether a company pays its employees daily, weekly, or monthly, the total salary that is earned by an employee is known as gross salary. It is the accountant’s job to calculate the salary correctly of each employee. Along with that, the accountant has to go through the personal information of an employee in order to check whether the salary provided after every work period is up to date, whether the precise value of the income tax information is granted and if the necessary deductions are made. The accountant must also keep a record of the pension plans of the employees along with insurance and loan plans, vacation, sick pay and much more. All the work benefits must be kept up to date. An accountant checks, records and maintains all the statements containing all the on-goings with the finances of the company or business. It is a very hard work and an accountant needs to have the right skills to calculate when the company is making profits and when it is suffering from losses. These profit and loss statements enable the budget officers of the company to create right financial for the benefit of the company. An accountant can also provide helpful advice on how to improve the financial conditions of the company by saving a lot of money and also making a lot of profit. An accountant maintains and keeps a record of all the money transactions that are made through sales from various other sources and along with that, an accountant also makes sure that the money transactions are made to the correct account. An accountant confirms that all the money transactions which are made are legal and also that the company or the business has the sufficient amount of cash in its accounts to make the transactions. Many accountants also balance the checkbook of the company and also administers all the incoming cash receipts. An accountant is known to keep a record of all the products bought by the company and that these products are placed in inventory, which means that these products are stored to be sold by the company. Along with that, the accountant also keeps records of all the assets and the services provided by the company to the consumers. Sometimes a business buys plenty of products the beginning of the year or at the end of the year. The accountant keeps all the records of these products and also the accountability which may occur due to these products. In doing so, the payments for these products can be made on time. An accountant also keeps a record of all the products that are sold and could not be sold by the company. At times, many companies and businesses are unable to make the monetary transactions on time, which makes the company a debtor and leads the owners of the company to suffer the consequences. This is where you really need an accountant. The accountant will be able to handle this issue in a jiffy. He or she can remind earlier that the payment is due and if needed, they can contact with those organizations and request for more time. On the other hand, if a consumer of your company has not paid for the product and it is still due, your accountant can handle the matter easily. He or she can contact the consumer through a phone call and email to pay the dues and if they still ignore, the accountant will be able to organize various accounts to receive payments where another company will purchase the unpaid due of your company and pursue the consumers to pay the dues. An accountant has to fill in a role of a team leader and when new employees are recruited and welcomed on board, it is the job of an accountant to train them and provide knowledge about the accounting procedures of the company. Even though the newly recruited employees have an extensive knowledge of accounting, a different company has different financial policy and policies also change over time. Various companies and businesses own different assets, which include offices in different cities, plant, property, and equipment such as machinery, cabinets, office furniture, office vehicles, and much more. An accountant maintains and controls all the records of these properties or assets by calculating the correct amount of depreciation for income tax and accounting. Over the course of a year, every company needs to write a lot of cheques and it is the job of an accountant to prepare all the cheque in order to take signatures from the designated officers of the company who have the authority to sign the cheques. Along with that, an accountant also checks whether the amount on the check is correct and keep all the supporting documents.